The Boomer Ball is virtually indestructible and designed for those larger-than-life characters who love to chase and conquer. Too many toys just can't take the strain like the 8 inch Boomer Ball. Save your children's football from being punctured and buy the 8 inch Boomer Ball. 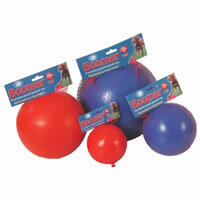 Boomer Ball's are designed NOT to be thrown or kicked, but used as a pursuit toy for your dog to chase around. 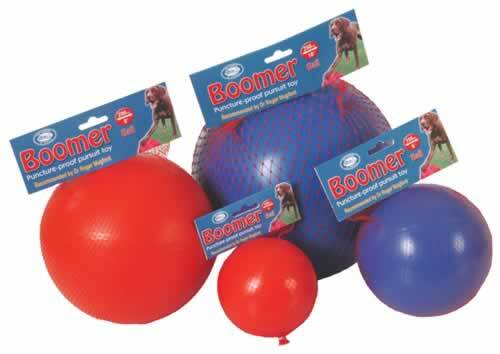 The Boomer Ball should not be picked up by the dog, so should be a size bigger than the dog can carry.